AUBG is looking for the best and brightest. Our admissions procedures are designed to help us select from a qualified pool of students and be able to answer all their questions. The following information will assist you in preparing your application documents. Students interested in applying to AUBG as part-time, non-degree students, must complete an application form for Admission for Part-Time status. All applicants must meet AUBG’s basic requirement for English language proficiency and provide evidence of academic attainment appropriate to the purpose for which they desire to enroll at AUBG. Print and submit the Part-Time Application Form. Applicants who do not hold a high school diploma at the time of applying must present an official high school transcript or record for the last three years of secondary school study. Transcripts are considered official if they bear an official high school stamp and the signature of the high school principal. Academic transcripts should include the school’s contact information. Records must list the subjects taken, grades earned or examination results in each subject and certificates or diplomas with a calculated annual grade point average (GPA). The documents could be either in English, Bulgarian or Russian. Arrange to have your official TOEFL score sent by ETS to the AUBG Admissions Office. 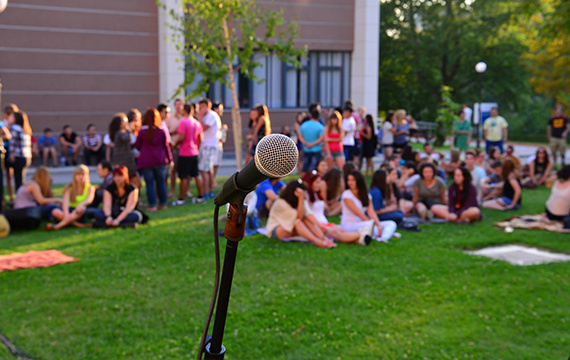 The AUBG institutional code is 2451. Please note that AUBG does not accept personal score reports or photocopies. Your TOEFL must be less than two years old. To register for TOEFL please visit www.toefl.org.